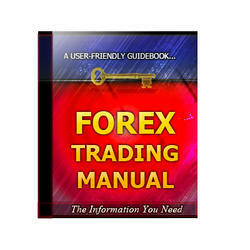 Information and statistics are available about exchange rates themselves. FX prices are readily available from screens and newspapers, but note that these prices are indicative and do not necessarily represent actual deals. In addition, because the FX market does not have fixed hours of activity there cannot be definitive opening and closing prices as in a stock market or futures exchange. Some central banks hold daily fixings for their currencies against other units, and publish the price at which market supply and demand balances. Effective exchange rates attempt to show the overall impact of changes in spot rates, by linking exchange rate movements to trade flows. An effective exchange rate index for a country weights the importance of other currencies in terms of volumes of trade. Thus a change in sterling against, say, the US dollar will have a greater impact than a movement of sterling against the Australian dollar. Such indexes are compiled by several organizations and as a result of different weightings produce slightly different results. The overall picture, however, should be broadly similar. In the UK, for example, the sterling index is published at hourly intervals during the working day by The Bank of England, with those for other currencies published on a daily basis. Surveys of overall activity in the global FX market are carried out at three-yearly intervals by central banks under the auspices of the Bank for International Settlements (BIS). The 2001 survey is discussed in the Preface.